Though the next most exciting thing happening with dinosaurs on the big screen seems to be either the appearance of Dinobots in Transformers: Age of Extinction this summer or Jurassic World in 2015, there's a documentary coming out for anyone interested in the digging up of the deceased prehistoric creatures from the ground. 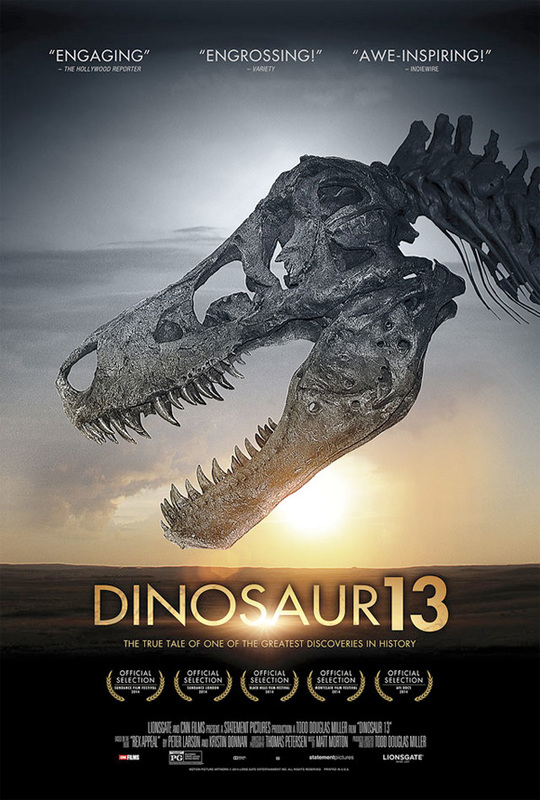 Dinosaur 13 is a compelling enough film about a fierce legal battle that ensued for the Tyrannosaurus Rex skeleton that most of the public knows as Sue. The doc focuses on the diggers who found the skeleton (sometimes a little too closely in their personal relationships for my tastes), and shows an exhausting and frustrating court case determining the rights to this history-making dino. Watch the trailer! When Paleontologist Peter Larson and his team from the Black Hills Institute made the world's greatest dinosaur discovery in 1990, they knew it was the find of a lifetime: the largest, most complete Tyrannosaurus Rex ever found. But during a ten-year battle with the U.S. government, powerful museums, Native American tribes and competing paleontologists, they found themselves not only fighting to keep their dinosaur but fighting for their freedom as well. Lionsgate and CNN Films present Dinosaur 13, a Statement Pictures production directed by Todd Douglas Miller which hits limited theaters this summer August 15th. Yay! I want to see it!